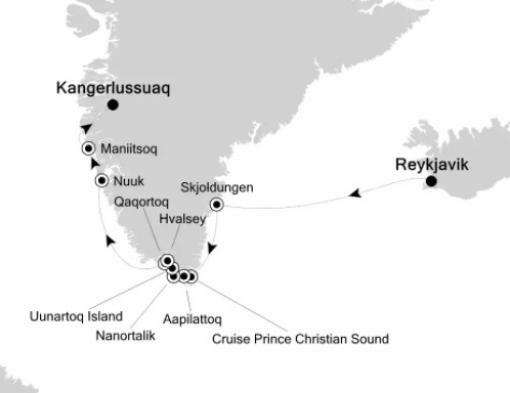 CRUCERO DE LUJO - Desde REYKJAVIK (Islandia) - Hasta KANGERLUSSUAQ (Groenlandia). Existe dentro de cada uno de nosotros una profunda pasión por descubrir todos aquellos lugares que por remotos e inaccesibles resultan teoricamente inalcanzables: La Antártida, la Isla de Pascua, los Atolones del Pacífico, el Ártico, La polinesia francesa, África, Australia... lugares increibles, de soberbia belleza natural que abrirán su alma al excitante espiritu de la aventura. 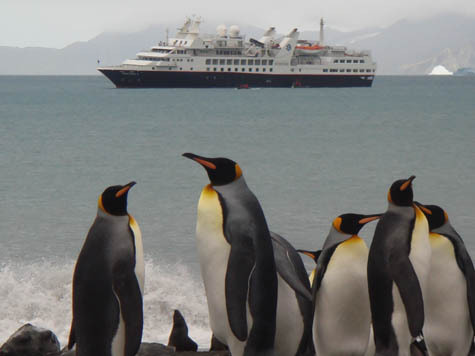 SilverSea Expeditions le ofrece la increible oportunidad de realizar estos increibles viajes con un lujo sin igual, a bordo del extraordinario buque Silver Explorer. Camine a lo largo de un glaciar y contemple el sol de medianoche. Observe pingüinos, delfines, focas y ballenas en su hábitat natural. Comparta las tradiciones de las remotas culturas de la jungla. Déjese envolver por la colorista hospitalidad de las islas del pacífico. 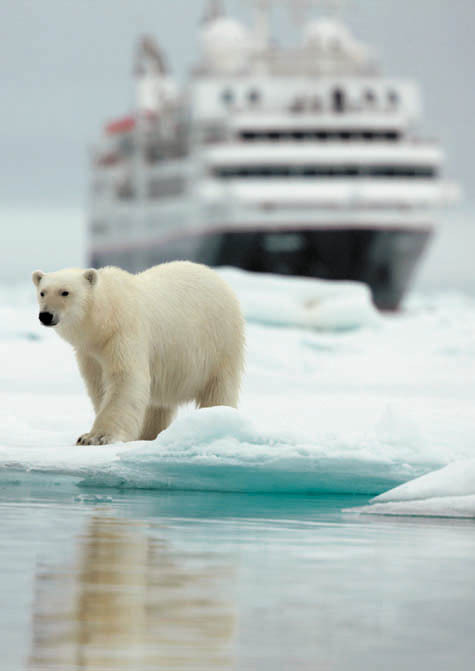 Explore desde dentro el reino del oso polar... Experimente con SilverSea la emoción de un verdadero viaje de expedición mientras disfruta de un privilegiado estilo de vida. 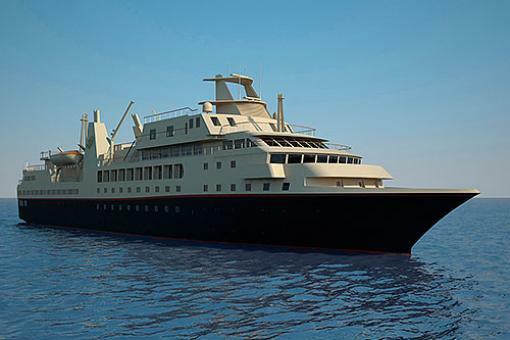 Lujoso, cosmopolita, inspirador y refinado, el Silver Explorer le llevará a lo más profundo de regiones inexploradas para que viva la más increible experiencia en viajes de su vida sin tener que renunciar a ningún detalle. El buque tiene casco reforzado lo que le convierte en un buque rompehielos ideal para navegar regiones polares, y el lujo y el confort a bordo no tiene parangón en el resto de los buques de esta compañía. 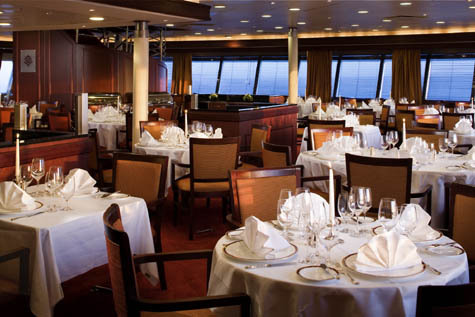 El precio del crucero incluye: Alojamiento en cabina según categoría elegida en base a ocupación doble (consulte recargo de uso individual), en régimen de Todo Incluido, servicio de mayordomo en la cabina, gastronomía de primera calidad con la garantía Relais & Chateau, bebidas incluidas con una cuidada selección de vinos, champagnes, licores, agua embotellada y otras bebidas sin alcohol, refrescos y combinados. Minibar surtido con sus bebidas favoritas. Servicio de habitaciones 24h. Parca y Mochila de cortesía para las excursiones. No incluye: Vuelos hasta/desde puerto de embarque/desembarque, excursiones, compras a bordo, spa, internet, llamadas telefónicas, bebidas especiales. Aventúrese en lo más profundo de lugares inexplorados, conectando con culturas en los destinos más remotos e inaccesibles del mundo. En estos lugares experimentará la libertad y la tranquilidad de la naturaleza, que fluye siempre a su ritmo, majestuosa, serena y generosa. A bordo, el ambiente es relajado y cordial, íntimo gracias a sus solo 132 pasajeros, con una hospitalidad que incluye todos los detalles: las propinas no son necesarias, las cabinas son mucho más grandes que en cualquier otro barco de expedición, encontrará gastronomía gourmet inspirada por los expertos Chefs de Relais & Chateau, un completo Spa, Internet Café, Biblioteca especializada, el tiempo pasa tranquilo, la vida fluye a su propio ritmo, días nuevos de descubrimientos, uniéndole de nuevo a la Naturaleza, una experiencia que le permitirá descubrir la vida, la belleza, redescubriéndose a si mismo, una experiencia que cambiará su vida y su forma de ver el mundo... esto es SilverSea Expeditions, una nueva forma de viajar a esos lugares que siempre soñó visitar. 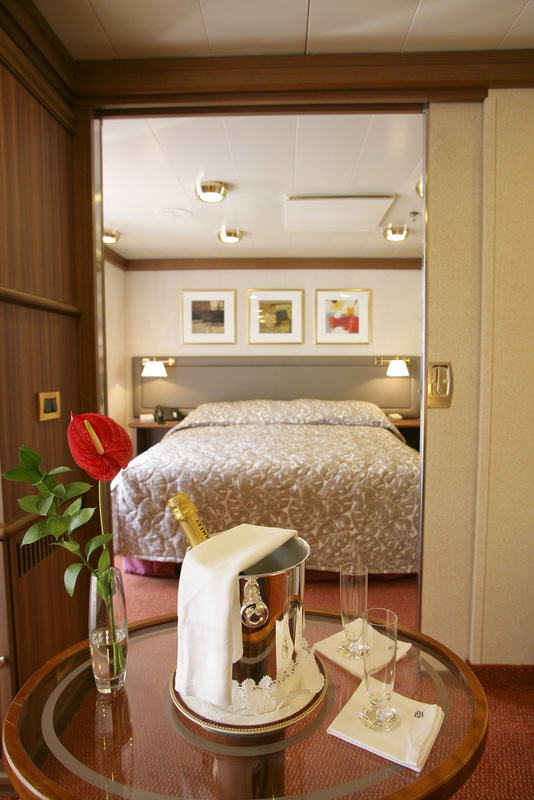 • Todas las cabinas son exteriores con baño privado, dispone de las cabinas más grandes que cualquier otro barco de expediciones. • Las expediciones de aventura están organizadas desde el barco. • Incluye ropa de abrigo incluso polar. 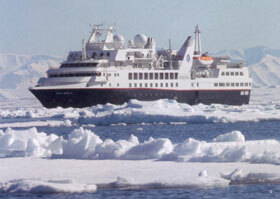 Arrive in Kangerlussuaq and enjoy your first Zodiac ride to Silver Explorer, waiting at anchor. Located just north of the Arctic Circle, Sisimiut is the northernmost town in Greenland where the port remains free of ice in the winter. Yet it is also the southernmost town where there exists enough snow and ice to drive a dogsled in winter and spring. In Sisimiut, travelling by sled has been the primary means of winter transportation for centuries. Today we will meet a sled dog team and their owners, who will tell us all about sledding and how the Greenlandic sled dog has been bred to be amongst the strongest working dogs in the world. This morning we arrive at Qeqertarsuaq Island, the “largest island” and visit the village with the same name at the southern tip of the island. Here we enjoy a guided walk through this small fishing and hunting town, of 1,000 inhabitants as well as walks with our expedition team to the “Valley of Winds” or Blaesedal. Next it is off to the Arctic Station, which is located just outside of town. 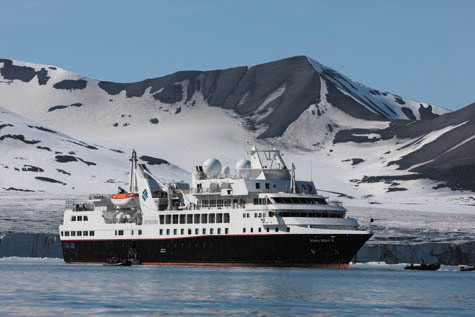 Breathe in the incredible scenery of the Basalt Mountains and right from the deck of our Silver Explorer while diligently watching for whales as we explore deeper into the Disko Bay. This morning we set afoot to unearth history’s mysteries as we visit the gravesite of 500-year-old mummies, the best-preserved human remains in all of North America. Commonly referred to as the “Greenland Mummies”, eight mummies (six women and two children) were discovered in 1972 and are believed to date back to 1475 A.D., give or take 50 years. In the iceberg-laden waters surrounding the remote community of Uummannaq it is common to see whales, so be sure to join the Expedition Team out on deck during our approach. This area of Greenland is known for its huge basalt mountains, and this small hunting and fishing village rests at the foot of a heart-shaped Uummannaq Mountain, a name that translates to mean “in the shape of a seal’s heart”. Together we will take a guided walking tour of Uummannaq to see the granite church and learn how village life revolves around the halibut/fish-processing factory. The more energetic will have the opportunity to hike to the “summer residence of Santa Claus”. As we continue our exploration of the Disko Bay area, we stop of at one of the smallest settlements that we will come across during our explorations. During our visit we will share the tradition of morning kaffe-mik (coffee and cake) with the locals, learning more about their culture and lifestyle. 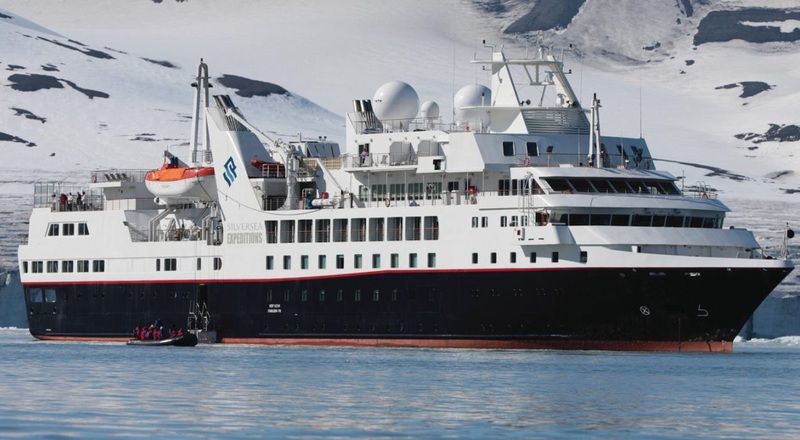 Before departing enjoy a Zodiac tour of the rugged coastline and the many icebergs that get stranded here after breaking off from the Jakobshavn Glacier. Just after sunrise, be out on deck to see the northern hemisphere’s most active glacier – Jakobshavn – often surrounded by icebergs in all shapes and sizes and in varying shades of white and turquoise. Known as the birthplace of icebergs, the Ilulissat Icefjord produces nearly 20 million tons of ice each day. The town of Ilulissat is known for its long periods of calm and settled weather, but the climate is a bit colder due to its proximity to the fjord. While here, we may have the opportunity to see a demonstration of ancient fishing methods and enjoy some locally caught and prepared fish. During our guided walking tour of Ilulissat, we will visit the local history museum. The afternoon tour continues via fishing boat, as we navigate amongst the many icebergs at the fjord’s entrance. Alternatively, guests have the option to purchase an exciting helicopter excursion to see the magnificent Jakobshavn Icefjord by air. 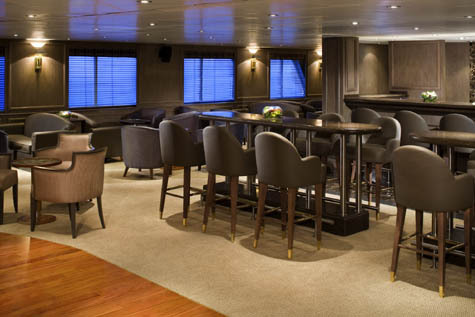 Participate in discussions and onboard activities led by the Expedition Team, relax in one of the lounges with that book you’ve been meaning to read, and meet up with new friends for cocktails. 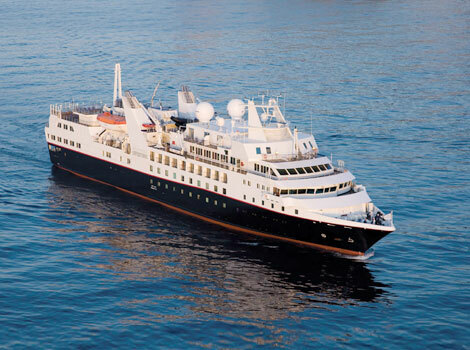 On board Silver Explorer, a variety of diversions are available, including educational lectures, spa treatments, a workout in the Fitness Centre, and, of course, exquisite dining experiences. 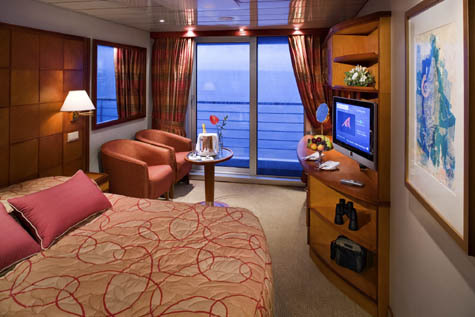 Before turning in for the night, take a stroll on deck to take in the solitude of the vast sea and sky. After breakfast, disembark Silver Explorer.